Wilfred Rhodes was an English Cricketer of Early days of Cricket. Born on October 29, 1877 and died on July 8, 1973 Wilfred has the record of playing Most number of First Class Matches and also holds the record of Taking most number of wickets in First Class Cricket Matches. Wilfred Rhodes was not only a good slow left arm bowler but also a good batsman. He has also played for the England Team in International Matches of total 58 appearances with excellent allround record. Wilfred Rhodes started playing for Yorkshire in year 1898 as a bowler. On the debut match against MCC(Melbourne Cricket Club), he took 6 Wickets in the match. His first appearance in County was against Somerset where he impressed the Cricketing World of his excellent bowling with a match figure of 13/45. In that season of County Championship, he had taken 154 wickets to his account. He was also named among The Wisden Cricketers of the Year for year 1998. Wilfred dominates in three consecutive County Championships from 1900 to 1902, where he took more than 200 wickets in each season and made Yorkshire the Winner of the three County Championships. He also improved his batting in this period and made his first First Class Century against MCC. Yorkshire again in year 1905 and 1908 won the Championship where Rhodes contribute both with bat and bowl making double of 1000 runs and 100 wickets in a season both times. As Wilfred's batting improved his bowling suffered a little. He even started opening the innings for the Yorkshire Team in 1910 for few years after that. 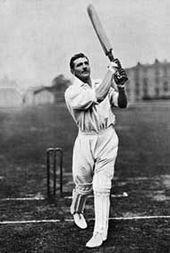 Rhodes played for Yorkshire until 1930, in whick he played more than 1000 first class match and is the only cricket player to do so till date. During his first class career from 1898 to 1930, he has got 16 doubles of scoring 1000 runs and taking 100 wickets in a single season. When Rhodes played his last first class match in 1930, his age was more than 52 years, making the record of The Oldest Ever Test Cricketer. Soon after he announced his retirement from Cricket. Like his first class career, Rhodes has similar type of International Test Career, where he represent England Cricket Team. He made his Test debut against Australia in 1989, and took 4/58 in the Australian First Innings and took 13 wickets in 3 matches of the series. In his next series against Australia, he was the leading wicket take from England with 22 wickets from 5 matches. In one of the match of the series he took 7 wickets for just 17 runs, bowling out Australia for a very low total of 36. By the time he improved his batting. In 1911, in Australia he scored 463 runs in the five match series including his first century in Test Cricket of 179 runs. England won that series by 4-1. He opened the batting for England in this series with Hobbs. Rhodes had played the maximum number of First Clas Matches (1110 Matches). He has the record of having maximum number of wickets in First Class Cricket (4204 Wickets). He ir the first English Cricketer to complete the double of 1000 runs and 100 Wickets in Test Cricket. 16 Times he had completed the double of 1000 runs and 100 wickets in an English season. He is the Oldest Ever Cricket Player to appear in a Test Match (52 Age). He has taken 5-Wicket Haul in an Test Innings in First Class Cricket 287 times. He has taken 10 Wickets in a Match in First Class Cricket, 68 times.